What is the High School Student Congress? 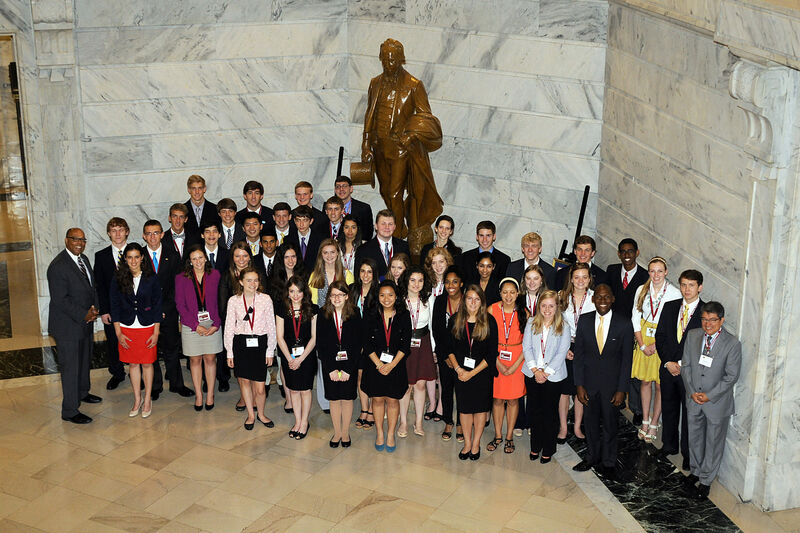 The week-long High School Student Congress gathers fifty rising high school seniors together with lawmakers, academics, journalists, and business leaders to learn about the political legacy of Kentucky’s greatest statesman and compromiser, Henry Clay, and how to apply this legacy in every aspect of their academic and professional activities. 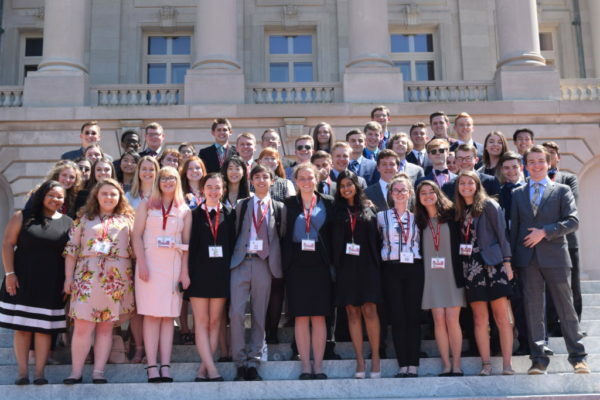 Carefully-chosen guest speakers engage with the students throughout the week, and students participate in an intensive curriculum and political exercise designed by the Henry Clay Center staff and our academic partners at Transylvania University. 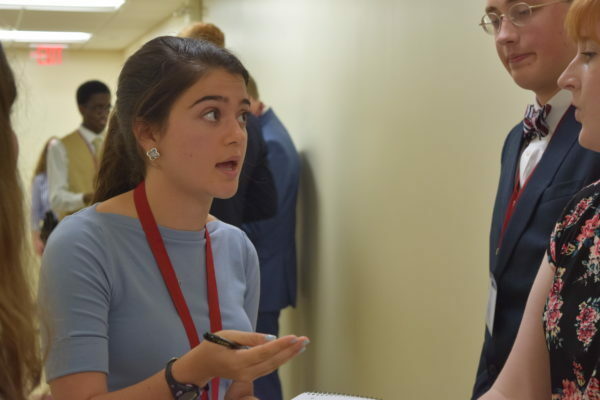 Each year’s program invites students to focus on a different dimension of politics and public policy, informed by the experiences of Henry Clay. Previous years have focused on Henry Clay as a legislator and Speaker of the House, during which students authored, debated and voted on pieces of original legislation, and on Henry Clay as a diplomat and Secretary of State, during which students participated in an international conflict negotiation simulation. No matter the theme of the program, students will be challenged to interact with peers who hold different beliefs than they do, to civilly and openly engage in dialogue about their differences, to learn to listen to one another and, ultimately, to come together in a spirit of cooperation in order to achieve progress for the common good. Throughout this process, students will be developing and honing their leadership, communication, negotiation and interpersonal skills. 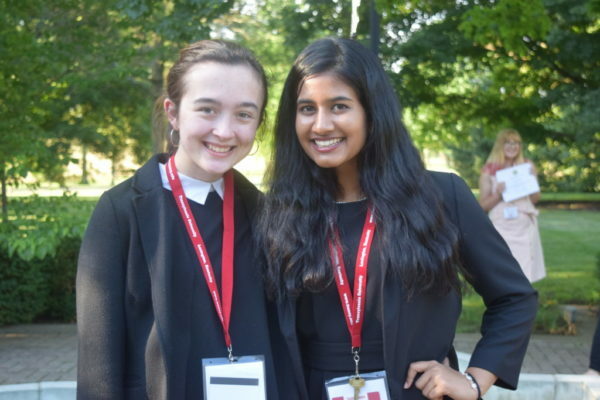 In addition to the rigorous academic program, students will have opportunities to participate in team-building, leadership and social activities that create friendship and lasting bonds among the cohort of students. Previous activities have included visits to Henry Clay’s Ashland Estate, the Kentucky Horse Park, the Kentucky State Capitol and the national headquarters of the Council of State Governments, as well as film viewings, scavenger hunts and special closing banquets. 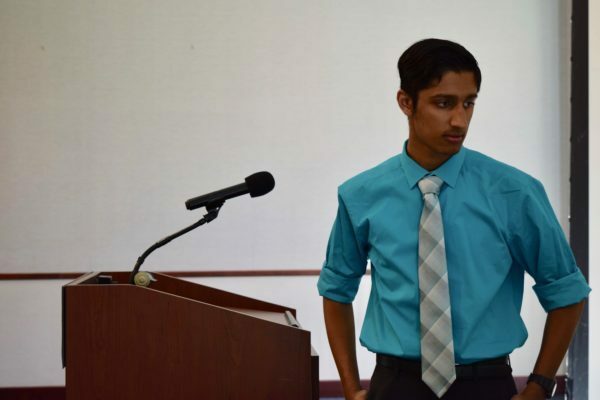 When and Where is the High School Student Congress? 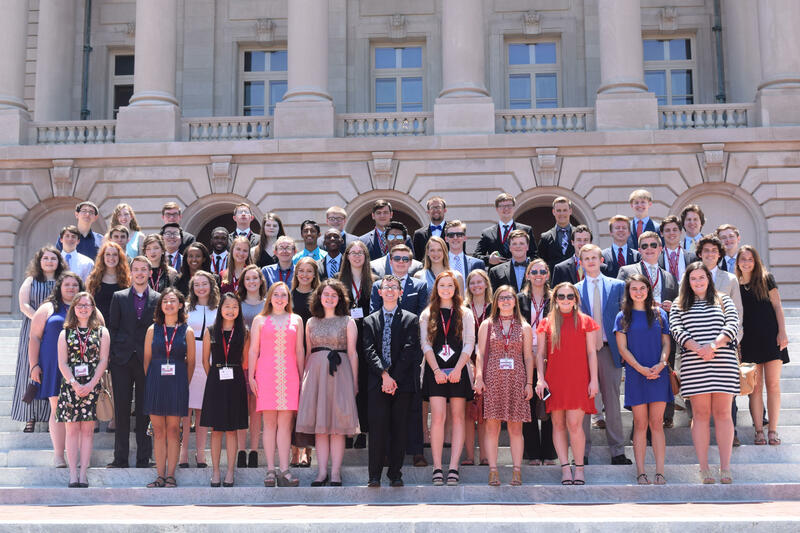 The High School Student Congress will take place June 10-15, 2019. 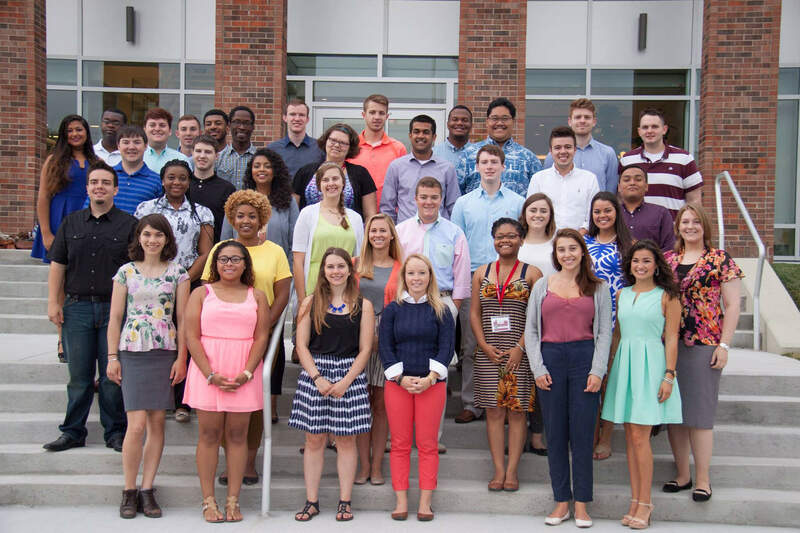 The program is hosted on the historic campus of Transylvania University, where students will have the opportunity to stay in a dormitory, attend lectures in college classrooms and utilize campus facilities. There is no cost to apply for or attend the High School Student Congress. 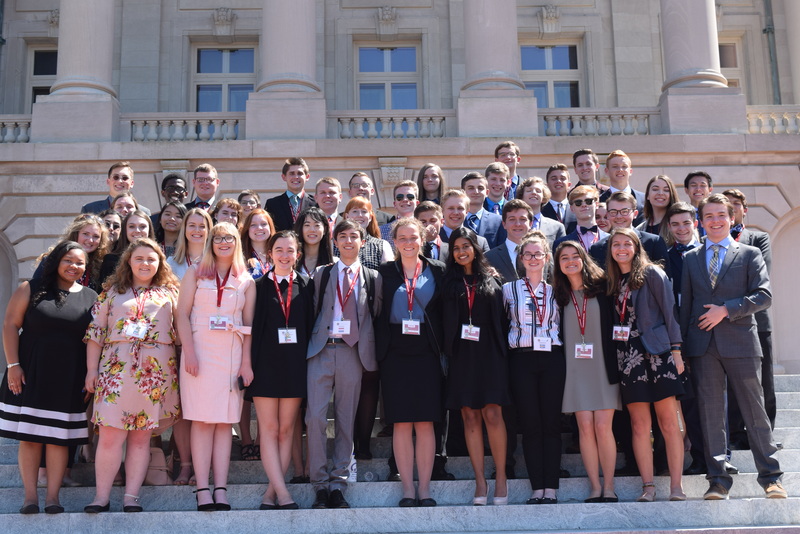 The Henry Clay Center for Statesmanship covers all program-associated costs including the following: meals, accommodations, program activities and travel. We believe that every student, regardless of background or circumstance, should have an equal opportunity to participate in our program. Thanks to our generous supporters and sponsors, we are able to provide full scholarships to all students. 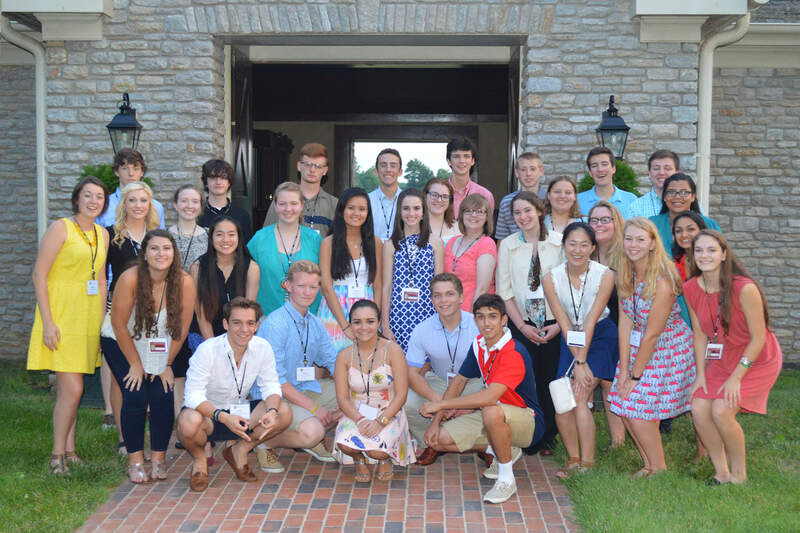 For further questions about the High School Student Congress, please contact Clare Magee, Director of Academic Programs, at cwilliams@transy.edu.